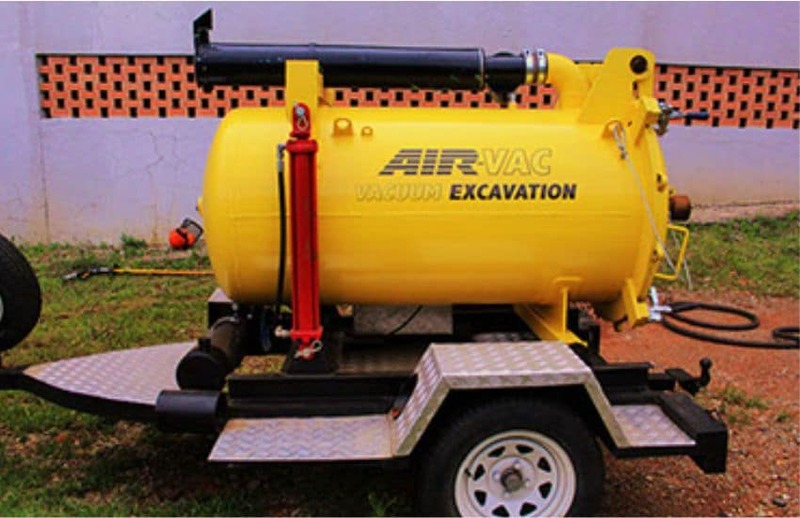 Powered by standard compressed air, the Air-Vac® Truck/ Trailer is a unit that mounts on the bed of a pickup truck or flatbed trailer providing efficient and effective mobile vacuum capability. 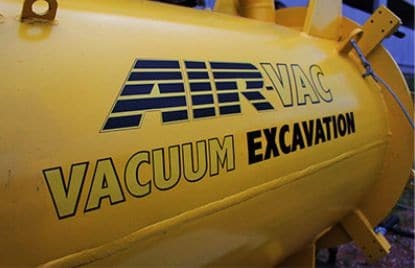 Ideal for vacuuming up dirt, sand, rocks, or water at the rate of 1 to 2 cubic ft of material per minute. 200 gallon tank holds up to 1 cubic yard of spoil. Large diameter dump door and dual hydraulic cylinders make emptying and cleaning the tank easy. 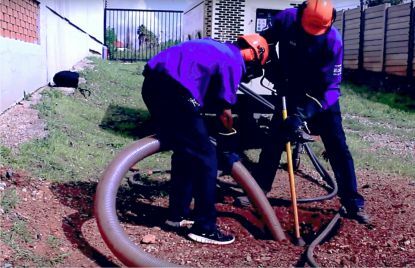 Vacuum injector with integral exhaust silencer incorporates patented Air-Spade supersonic nozzle to generate super high-velocity (10,000 ft per min) vacuum transport speed that moves material and minimizes clogging. Includes 4” ID x 25’ vacuum hose and 4’ see-through, Plexiglas wand.